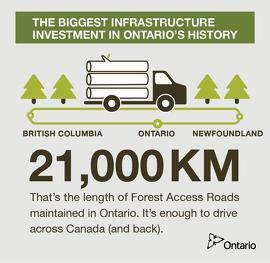 Ontario is investing in forest roads which connect industry to Ontario's natural resources, supporting local communities by growing the economy and creating jobs in the forestry, mining and tourism sectors. As part of the largest infrastructure investment in Ontario's history, the province is committing $60 million to the program in 2015-16. Ontario is also making the province's forestry sector eligible for the $2.7 billion Jobs and Prosperity Fund to help increase production capacity and expand into new markets, while ensuring resources are managed sustainably. This will also help modernize the forestry sector and facilitate the production of value-added products by supporting new technologies. Investing more than $130 billion over 10 years in public infrastructure ­— the largest infrastructure investment in the province's history — is part of the government's plan for Ontario. The four-part plan is building Ontario up by investing in people's talents and skills, building new public infrastructure like roads and transit, creating a dynamic, innovative environment where business thrives, and building a secure retirement savings plan. The government’s Moving Ontario Forward plan will make $31.5 billion available over the next 10 years for investments in priority infrastructure projects across the province and is expected to support over 20,000 jobs per year, on average, in construction and related industries. Through Moving Ontario Forward, around $16 billion is being allocated to transit and transportation projects in the Greater Toronto and Hamilton Area (GTHA), and about $15 billion available for investment in roads, bridges, transit and other critical infrastructure in the rest of the province. Over the past ten years, $605.2 million has been provided toward the forest industry’s expenditures on the construction and maintenance of public forest access roads that support forest harvest activity. 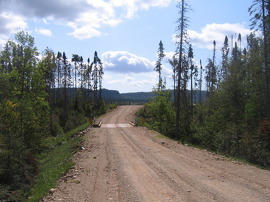 Annually, Ontario invests in the construction and maintenance of over 21,000 km of forest access road infrastructure. This is equivalent to travelling across Canada and back. The government is continuing reduced stumpage rates for 2015-16 for poplar and white birch trees as further confirmation of its commitment to boost the competitiveness of Ontario’s forest sector. 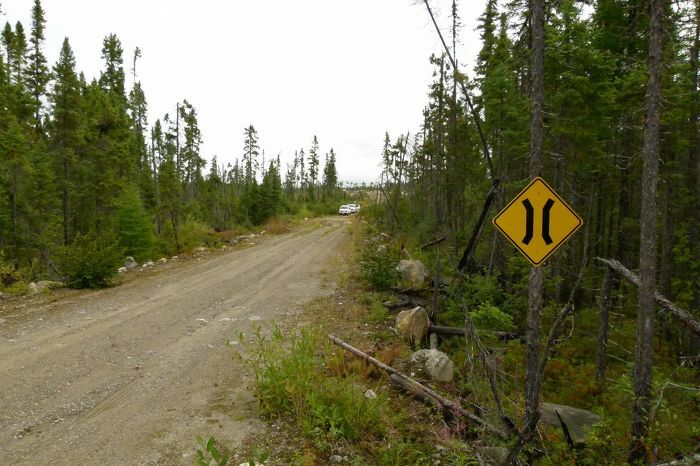 The length of Forest Access Roads maintained in Ontario.